Arsenal midfielder Francis Coquelin insists their shock opening day defeat against London rivals West Ham United last weekend could prove beneficial for the rest of the campaign. Goals either side of the interval from Cheikhou Kouyate and Mauro Zarate gave the Hammers all three points at the Emirates Stadium and also raised questions as to just how genuine the Gunners title credentials are. The North London giants had gone into that game as overwhelming favourites after beating Chelsea 1-0 in the Community Shield just a week earlier, but they produced a below-par performance on their home ground and were punished for two costly mistakes made by summer signing Petr Cech. “It’s been a wake-up call for everyone,” the Frenchman told the club’s official website. “We know the quality we have and we need to respond straight away. 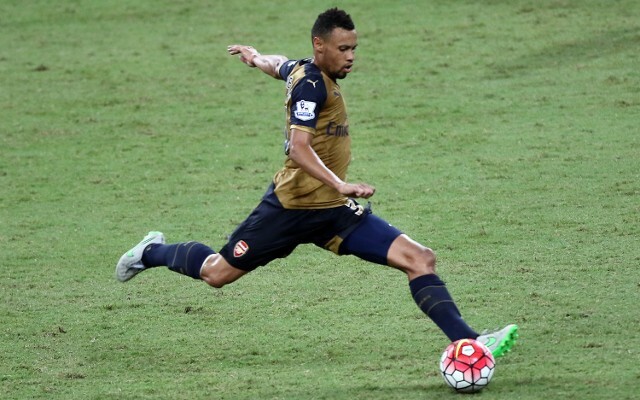 We’ve been working really hard in training and we need to put all of the training effort into the game,” Coquelin added. The Gunners’ recent record against the Eagles is perfect as they have won all four meetings between the two teams since Palace were promoted back to the Premier League for the 2013-14 season.